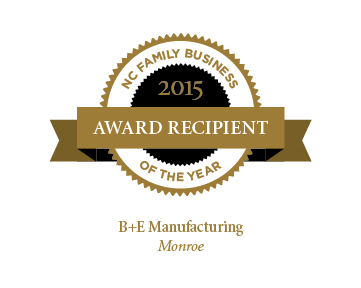 B+E Manufacturing Co. Inc. offers complete solutions for your machining problems. B+E supplies machined components, small and large specialty machine parts, assemblies, and electric automation controls. We build tools, fixtures, equipment, and machinery; including milling, ID/OD grinding, welding, and fabrications. B+E also machines, builds, and repairs valves in cooperation with our valve division, Stainless Valve Co.
B+E works with Mills • Turns • Drills • Reams • Bores • Taps • Any Material. B+E works together with companies who carry out services or supply parts using equipment, which we do not have available, such as stamping, heat-treating, painting, plating etc. In this way, we are able to provide a service that goes well beyond the original scope of work based on the machinery shown on the equipment list. B+E offers quality assurance. We only deliver quality parts and we are proud to present a very good record of correct parts delivered. Our production is ISO 9001-2000 certified, ensuring continuous improvement and customer satisfaction. We are proud to have a very good record of correct parts delivered to the satisfaction of our customers. We would like to inform that we have recently completed our expansion project, increasing our plant size by 50%. We invite you to visit our plant, when it is convenient for you, to learn more about our machining capabilities. We look forward to working with you on your part machining needs.